The Resusci Anne Airway Trainer simulates complete anatomy of the vocal cords. 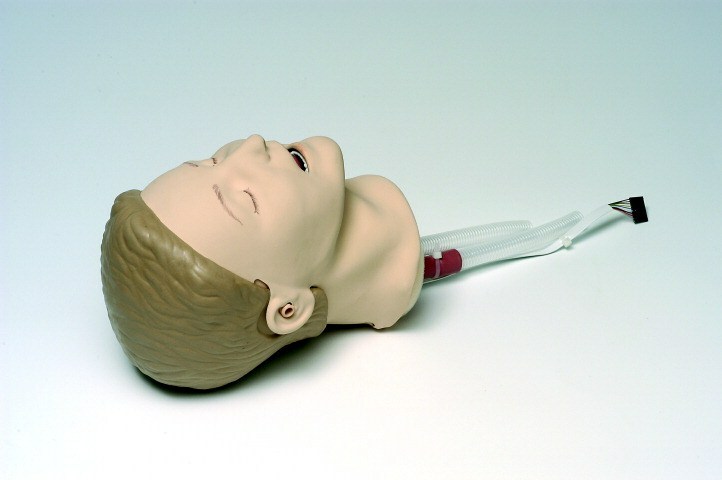 This provides a useful addition to the basic Resusci Anne manikin to allow training in basic and intermediate airway techniques. The skin is highly elastic and durable and movement is realistic, enabling training simulations which are as close to reality as possible.